The Functional Side of Cowboy Boots "All the men were well shod in good looking riding boots, except the cook." While still a teenager, John K. Rollinson left his upstate New York home in 1903 to go cowboyin’ in Wyoming after seeing Buffalo Bill’s Wild West show. 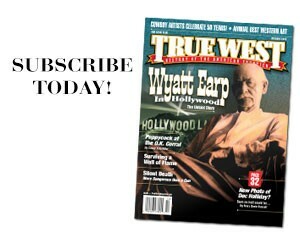 Working as a ranch hand, he could see the West portrayed by Buffalo Bill Cody’s troupe was already losing its wildness. He still saw plenty of wide open space, but sedentary herds of cattle grazed where countless buffalo had once roamed. American Indians were confined to remote reservations. Homesteads, ranches, towns and fences broke up the horizon. What had not changed much from what Rollinson saw at the Wild West show were the boots Cody and his cowboys wore. In his 1941 memoir, Rollinson briefly described the boots of his cattle country compatriots. The pitch and height of the heels helped the cowboy position his foot in Western saddle stirrups, an important comfort feature when a rider spent long days in the saddle. Rollinson did not explain the tall tops, but they helped protect the lower leg from chafing from stirrup leathers and from prickly bushes and trees a cowboy might encounter while looking for stray beef hiding in Wyoming arroyos. 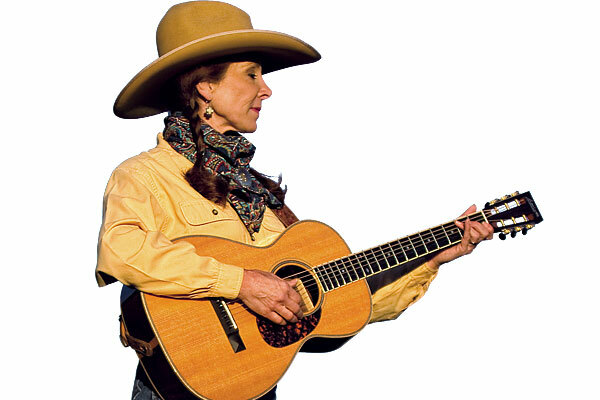 Cowboy boots are a highly specialized version of the original performance footwear: riding boots. 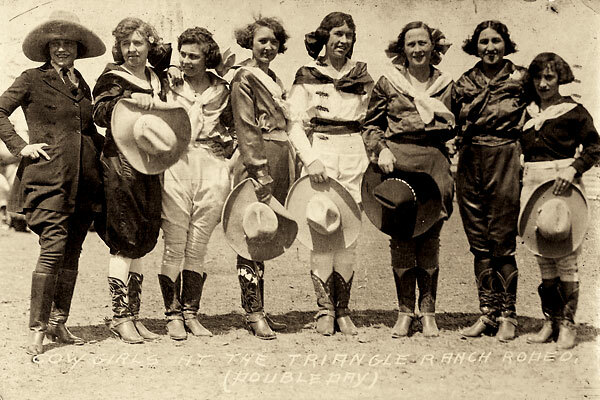 The signature heels and tall tops of early 19th century riding boots were adapted and refined to meet the unique and harsh conditions of riding horses and working cattle in the American West. Many features of the earliest cowboy boots are still evident in the boots worn today by working and rodeo cowboys—even with modifications for specific activities and events, the onslaught of technology and the ephemeral flirtations of fashion. The design and construction of a working cowboy’s boots can indicate what kind of work he does and where he does it. The boot’s heel height, toe shape, welt stitching, saddle, spur ridge and even the type of sole reveal a lot about a cowboy. A two-inch heel with a steep forward pitch—where the back of the heel is angled forward from the top to the bottom—is a riding heel. Lower that by a half inch and lessen the pitch or eliminate it altogether, and you have a walking heel. Lower the heel another quarter inch with a slight-to-sharp pitch, and you have a dogger, or dogging heel—so named because of its popularity with steer wrestlers (“doggers”). The 1 and 1/4-inch height is also common for a roper heel. Toe styles on cowboy boots are more about style than function. The pointed toe seen on many classic Western boots is said to help the foot find the stirrup better, but scant evidence—if any—proves that pointed toes were even around before Tom Mix showed up in movies wearing narrow, snip-toed boots. The narrow toe box is difficult to form by hand, and the foot seemed to find purchase in stirrups just fine with round or even square toes. Shoemakers produced round- or square-toed boots for the cavalry on both sides in the Civil War. Round toes are common on Ropers. Cutting horse riders have been embracing narrow-to-wide square toes in recent years, so cutter toes are being offered by several bootmakers. Perhaps the most recognizable genre of cowboy boots worn in arena competition is the Roper. Typically short, with eight-inch tops, Ropers usually have a plain round toe and shoe construction (no shank under the arch and low shoe-like heels). They are essentially a classic Wellington but are called Ropers because calf ropers, who dismount and run to tie up a roped calf, like the support and stability of the low, squared-off heel. Ropers, which hit the market in the mid-1980s, were the first full-fledged, rodeo-event specialty boot. Tall-topped boots are popular in brushy country and mostly associated with buckaroo cowboys in the Great Basin region that stretches from Oregon into Mexico and from Wyoming to California. Besides the tall top, Buckaroo boots often feature an extra layer of leather over the vamp called a saddle. The saddle protects the top of the foot from spur straps. The boot’s tall heels feature a spur ridge or shelf to support a spur. Pull holes are common, as the force needed to pull on a taller boot can actually pull off regular pull straps. Yet even short-top Buckaroos often feature pull holes, as well as deep v-cuts, or scallops, in the front and back of the shafts. Another style with regional roots is the cowboy Packer, a lace-up boot with a riding heel. Packers are named for cowboys who use pack horses and mules in the mountainous back country of the northern Rocky Mountains and the Pacific Northwest. A cowboy who dismounts frequently and has to scramble over rugged terrain might twist an ankle in a pull-on boot; lace-up boots provide additional ankle support. Bottom line, the working cowboy boot is all about protection, safety, comfort and function, from the pull straps or holes at the top, to the bottom of its sole. 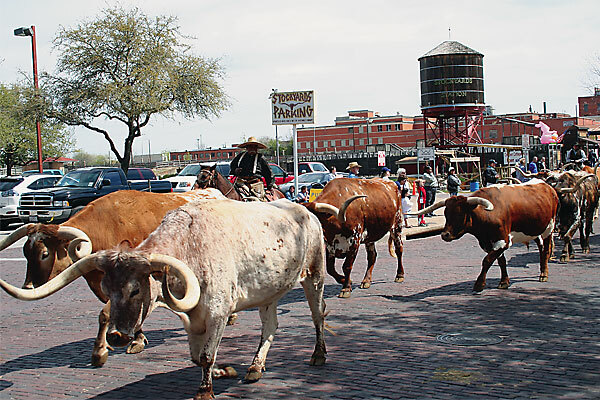 The Top 10 Cattle Drives Droving with Rawhide, Lonesome Dove and the Fort Worth herd. 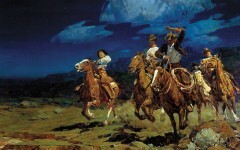 Riding with the Master From the days of illustrators, Western pulp and into the 21st century, artists still find inspiration in the influential works of Frederic Remington.